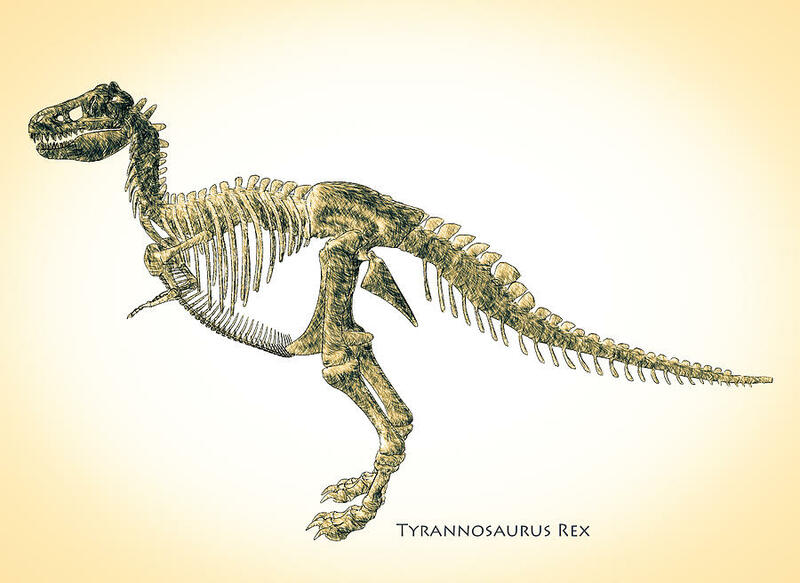 Tyrannosaurus Rex Skeleton is a piece of digital artwork by Bob Orsillo which was uploaded on July 16th, 2010. Tyrannosaurus Rex Skeleton -- Original dinosaur art by Bob Orsillo. Tyrannosaurus was a bipedal carnivore with a massive skull balanced by a long, heavy tail. 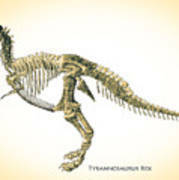 Relative to the large and powerful hindlimbs, Tyrannosaurus forelimbs were small, though unusually powerful for their size, and bore two clawed digits. Although other theropods rivaled or exceeded Tyrannosaurus rex in size, it was the largest known tyrannosaurid and one of the largest known land predators, measuring up to 12.8 m (42 ft) in length, up to 4 metres (13 ft) tall at the hips, and up to 6.8 metric tons (7.5 short tons) in weight. By far the largest carnivore in its environment, Tyrannosaurus rex may have been an apex predator, preying upon hadrosaurs and ceratopsians, although some experts have suggested it was primarily a scavenger. 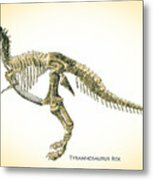 The debate over Tyrannosaurus as apex predator or scavenger is among the longest running debates in paleontology. Awesome work! L/F Congrats on your sale! congrats on your sale ..